1. Change the language into English, by clicking english in the top right corner of your screen. 2. Where you start your journey? put the address and house number or the bus stop’s name (bushalte) or the train station’s name, coma, then the city’s name in the first column. 2. 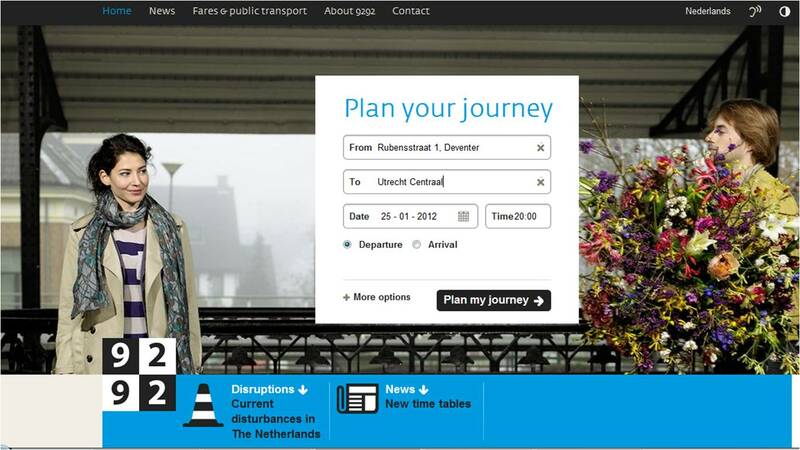 After put your start point and destination, put the date and time than you can click ‘Plan my journey’. 3. In next page, you get full information, how long you have to walk, where you have to change halte or train, and even also cost of your journey. My advice is to print the page or write it on your notes, so you won’t get lost in this country. This website can also be access with smart phone. Sometimes 9292OV not give actual advice, because of the bus or train changes their route. It can be happened when the government repaired the street or rail.